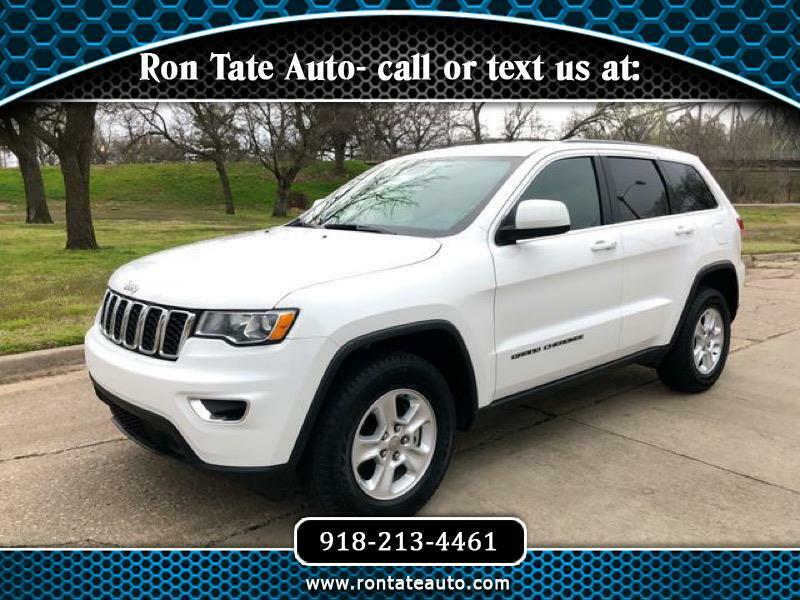 2017 Jeep Grand Cherokee Laredo 4x4 w/ 54,500 miles. Equipped with V6, power windows, power door locks, power mirrors, alloy wheels, tinted windows, cruise control, touch screen, push button start, AC w/ dual climate, MP3, USB, Aux, SD, steering wheel controls, and hands free. Carfax available showing clean history as a 1 owner vehicle. Call or text 918-213-4461.